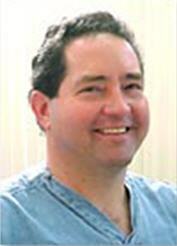 Dr. Nicholas L. Wengrin was born and raised in the Coatesville area. He graduated from St. Joseph's University of Philadelphia, and then completed his dental degree at Temple University in 1982. Dr. Wengrin has obtained his Fellowship degree (F.A.G.D.) from the Academy of General Dentistry after completing 500 hours of continuing education classes and passing his fellowship exam. He is also involved with the United States Dental Institute. One of Dr. Wengrin's special interests is in the area of music. He enjoys singing as well as playing a variety of instruments. Dr. Wengrin is a dental professional dedicated to helping you maintain the best oral health. He and his staff is fully qualified in the areas of hygiene, orthodontics, periodontics, endodontics, cosmetic and general dentistry. Dr. Wengrin maintains all certifications required by state laws, and participates in continuing education classes regularly. He now offers a full-service dental lab, with a fully qualified dental technician. We are capable of same-day denture repairs and relines. Dentures are fabricated on-site.